The Best 3D Carbon Gel Plates in UK !!!! If you cannot find the brand name logo here, email us !!!! We make these plates according to your specification! If you do have special requirements regarding font size, spacing, letter/number alteration or any other issues, email to us directly or place your special requirements in the notes/comments field at the bottom of this page. Most changes are free of charge and we will send you a quote if extra fees for artwork is required. A design layout may be emailed to customer for confirmation when needed. 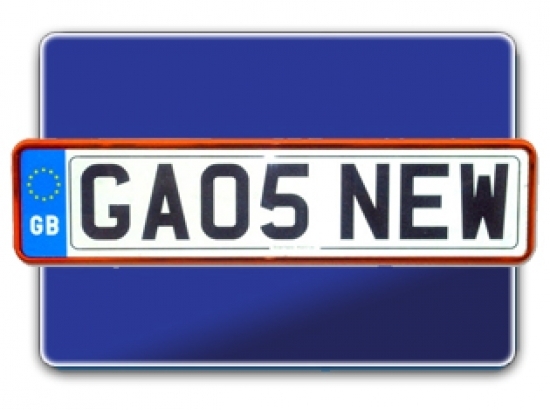 EZPlates.co.uk hold one of the widest selection of custom plates designs, which consists of different sizes, fonts, textures. To order plates simply select the plate type in our number plate builder online. You have several options to choose from including border, badge, and font options. Being the number plate creator and shipper for various websites, we are proud to have 10+ years of experience in the plate business. Our custom plates are durable and suitable for outdoors. Make a custom number plate design for a wide selection vehicles from Audi, BMW, Mercedes, Range Rover and Jaguar. The plate can be of oblong or square form, with different emblems, borders and fonts. Make your number plates with our easy-to-use Number Plate Designer - unique software which displays the final product look with various options that will make your plates stand out and will show the unique affection you have on your beloved vehicle. Our online show number plate builder has wide selection of unique styles customizations like: colours, different badges, fonts, and let you create unique plates design using the best materials available on the market. Make your unique show plates design by using our interactive designer. You will not find other suppliers offering similar custom Car show plates design in UK, using the same highest quality materials as the standard registration plates. Use our number plate builder to create personal show plates for the variety of use. You can supply your own artwork for inclusion, as at EZPlates we are the best when it comes to making number plates to a bespoke design. If you do not see a desired badge or background image, then you can supply one to us and we will make a plate with your special image. Show plates design from UK supplier can be personalized to your tastes and accentuate the curves of your car.